These taste just like a churro, but are a fraction of the work! They are such a delicious and unique treat! They literally whip up in 5 minutes and are so fun for serving to a crowd! No one will ever guess what they are made out of! Churros are one of my favorite treats! The cinnamon sugar coating on a butter crisp treat is sheer perfection. This delicious concoction takes 5 minutes to put together and will be one of the best things you will ever eat. I served these at a party and actually had to whip up 2-3 batches because people couldn’t keep there hands off of them! No one could guess what they were made out of! 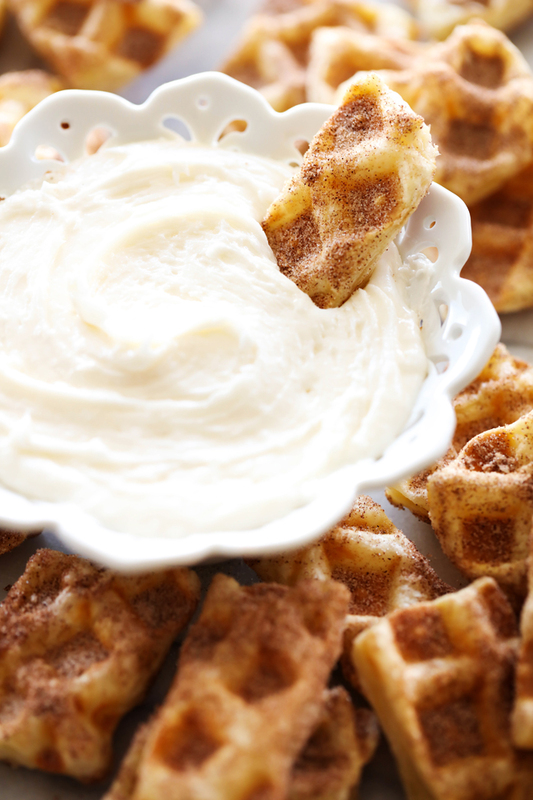 The thing that REALLY knocks this recipe out of the park is the dipping frosting. No some of you may be thinking, frosting WITH the churros? Isn’t that too much?! The answer is a resounding NO! It is like they were meant to be together! The dipping frosting is the perfect compliment to the little bites! These are such a delicious and unique treat! They literally whip up in 5 minutes and are so fun for serving to a crowd! No one will ever guess what they are made out of! In a medium mixing bowl beat butter, powdered sugar, milk, vanilla and salt until smooth. Set aside. Open pastry sheets and with a pizza cutter, cut dough into squares size squares, about 9. 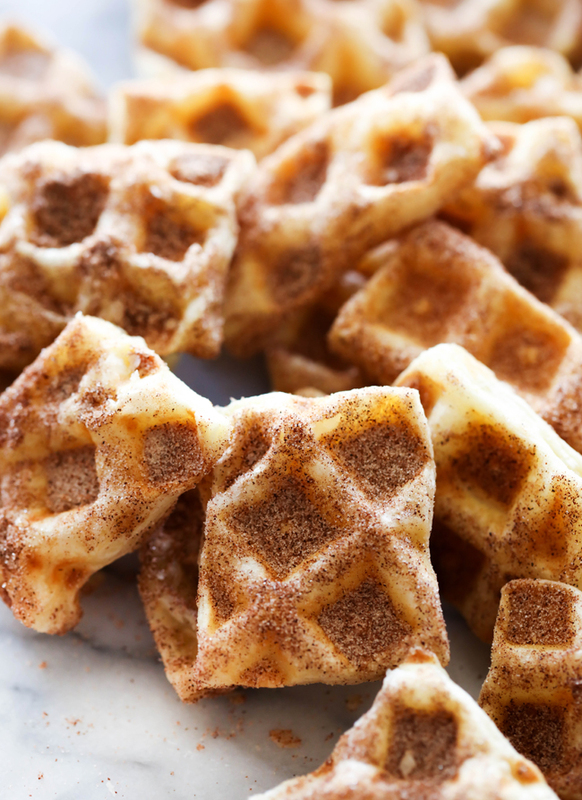 Place four squares of the bite size pieces of dough into the hot waffle iron. 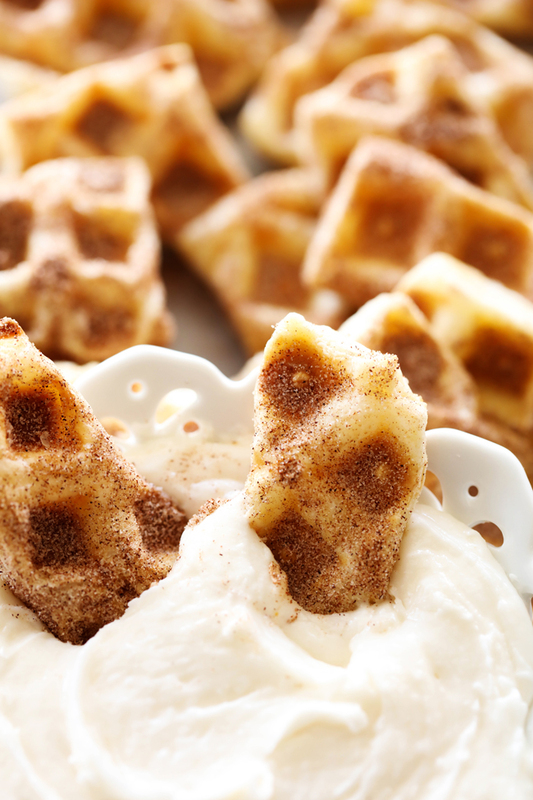 Cook for 2 to 5 minutes depending on your waffle iron. Cook until golden brown. 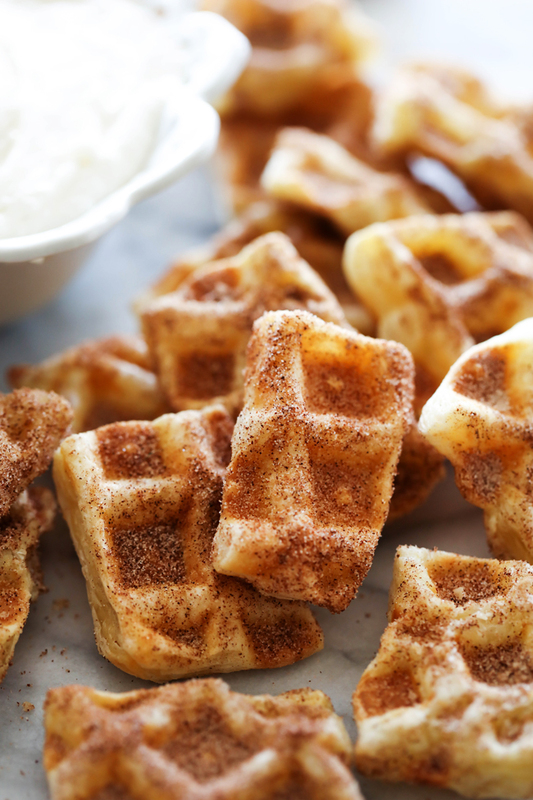 Holding waffles over a plate, sprinkle cinnamon sugar mixture over waffles on both sides. If desired, cut into smaller strips. Dip squares in frosting and enjoy!